People travelled from Adelaide, Springton, Cambrai, Wudinna, Cleve, Cummins, Tumby Bay and Port Lincoln to join in a day of worship, learning and fellowship with the theme of ‘Spreading the Word’. Pastor Richard Fox (of Lutheran Media) was the guest speaker and he gave an enlightening talk about the work of Lutheran Media and the good that can come from the use of social media. Through Facebook, Twitter, Instagram, YouTube, Google and radio spots, Lutheran Media are able to reach into the listener or reader’s world with the message of hope in Jesus Christ. A generation without a grounding in faith are now looking for hope, and through these media outlets, along with DVDs, booklets and other aids, a difference can be made. After a fellowship lunch, the memorial hymn was sung for our departed sisters in Christ, followed by the Bible study. Pastor Fox led us through 1 Peter 3:8-22. He explained how more people use the hashtag #love than any other hashtag. We, as Christians, have the greatest love and hope, and we need to pass it on. Lutheran Media is a ministry run entirely on donations, so it was with pleasure that we donated both the morning and afternoon offering to them. LWSA-NT State President Grace Kroehn gave a comprehensive report about what is happening from an executive level. She, Pastor Fox and Executive Member Faye Jenke were all thanked with gifts for their contributions to the day. Cowell ladies Gloria Brine and Julie Magnay gave the closing devotion, before Pastor Keith McNicol closed the meeting with prayer and the benediction. Afternoon tea was offered before travellers headed home, after enjoying another happy rally of worship, fellowship, sharing and caring. 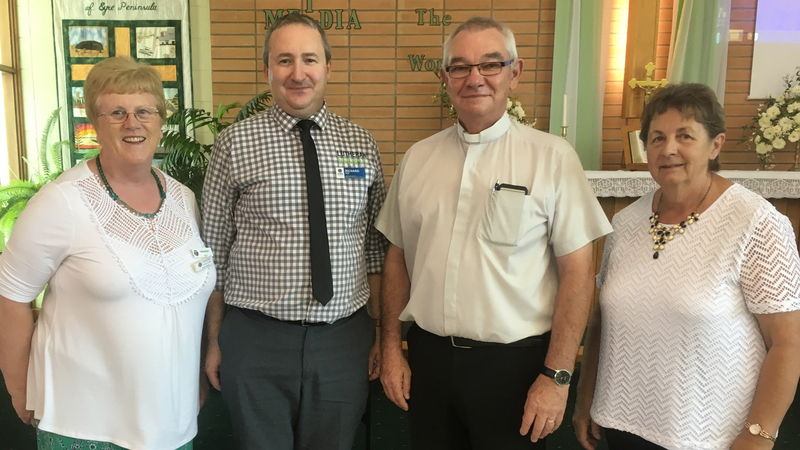 Following an invitation from the Port Lincoln Guild, we are extremely pleased that we will meet again next year on the first Sunday in March at Our Saviour’s Lutheran Church, Port Lincoln. The Zone Project for 2019 will support Lutheran Community Care.